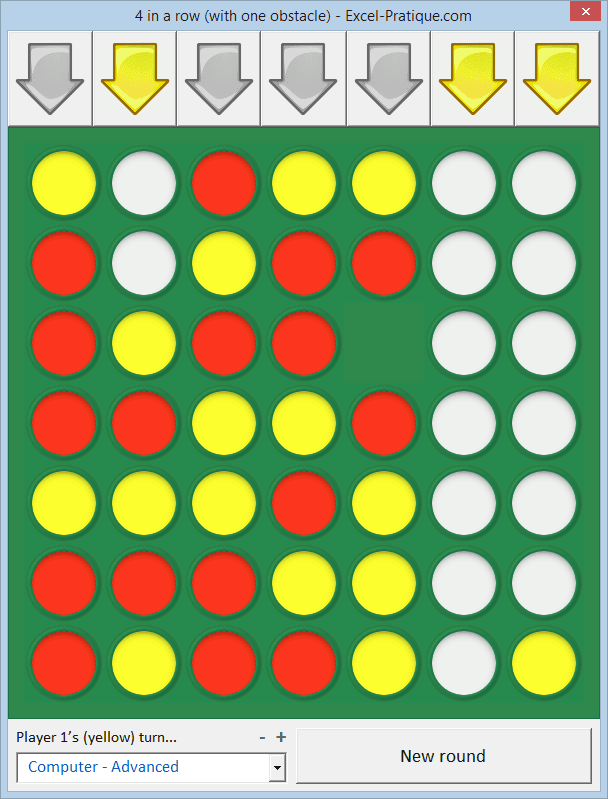 The aim of the game is to get four pieces of the same color lined up in a row either horizontally, vertically or diagonally. 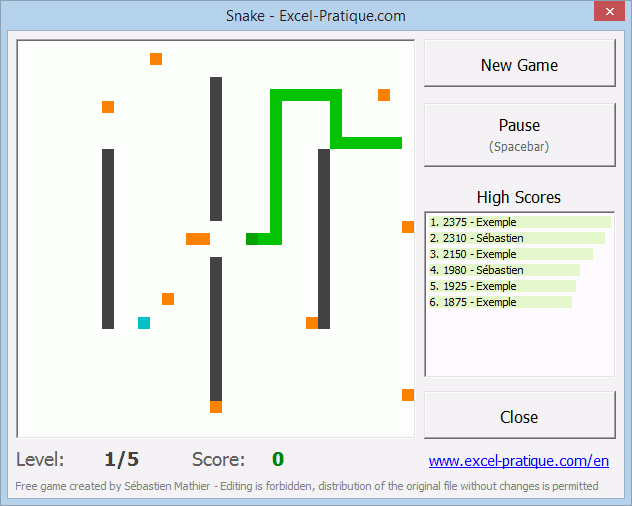 Free Game for Excel with 5 sequential levels of increasing difficulty, good gameplay and high scores shared with all players! 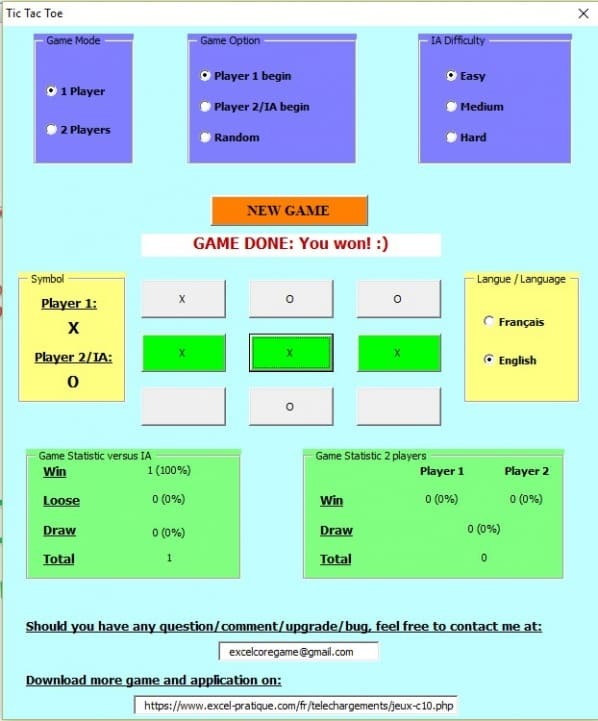 Freecell is played with 52 cards dealt face-up in 8 columns. Move cards to complete the 4 family card stocks in ascending sort (Ace to king) to win the game. 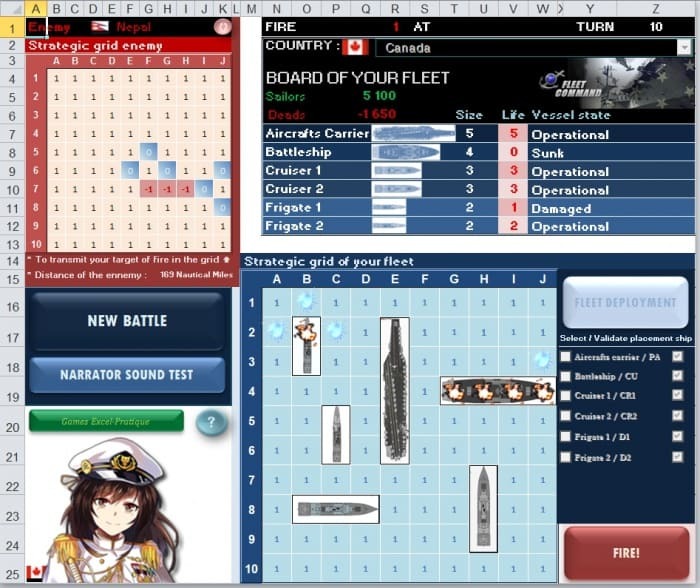 Excel version of the celeb game of the naval battle. Aboard a fleet of 6 vessels confront Excel. 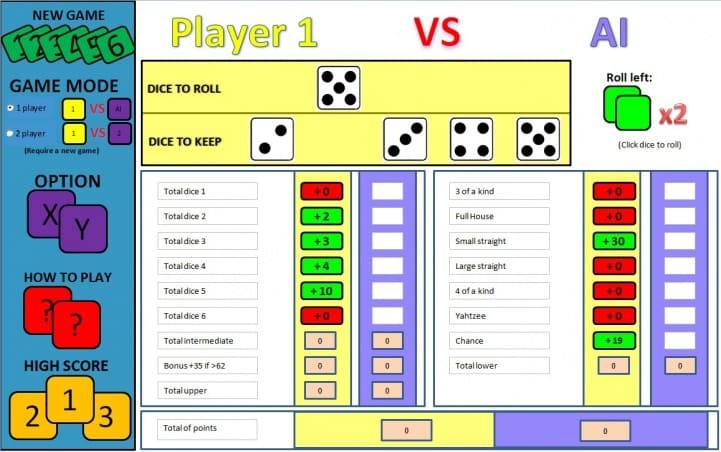 YAHTZEE is a game played with 5 dice where the goal is to make best combinaisons possible in order to get maximum of points! 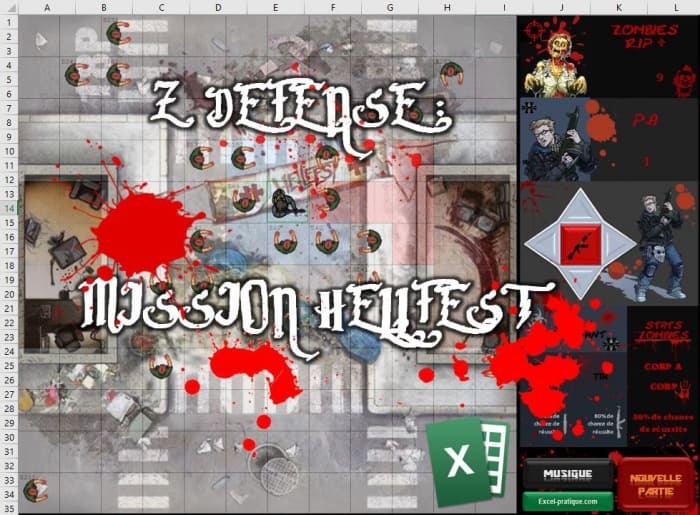 Excel/VBA Game of Action/Fight against zombies, turn-based, in top view and in Metal music ambiance. You play against the computer and take turns removing 1 to 3 matches. 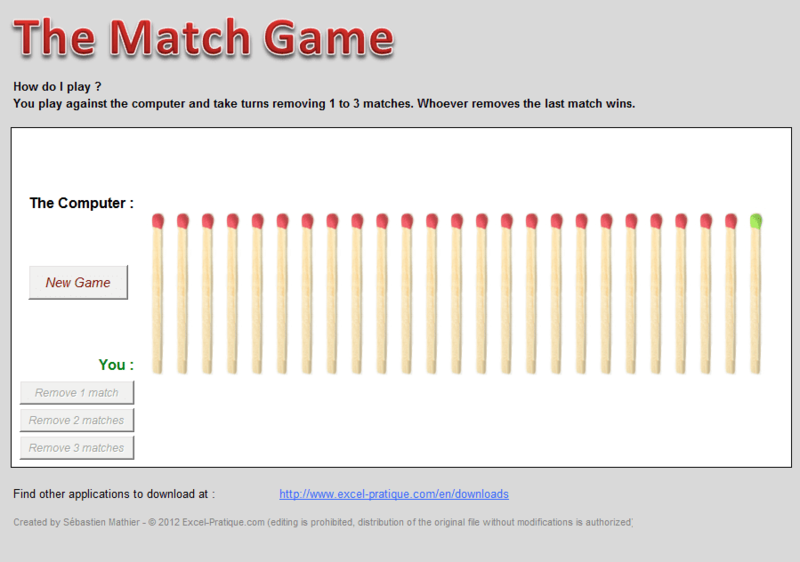 Whoever removes the last match wins. 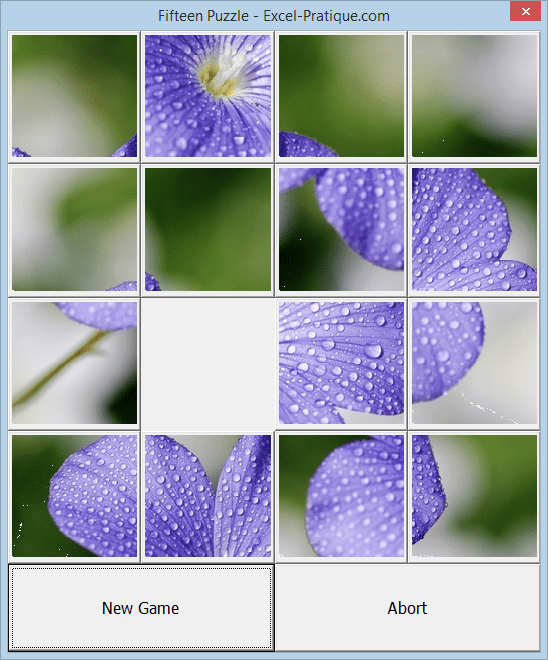 Tic-Tac-Toe game in Excel VBA. 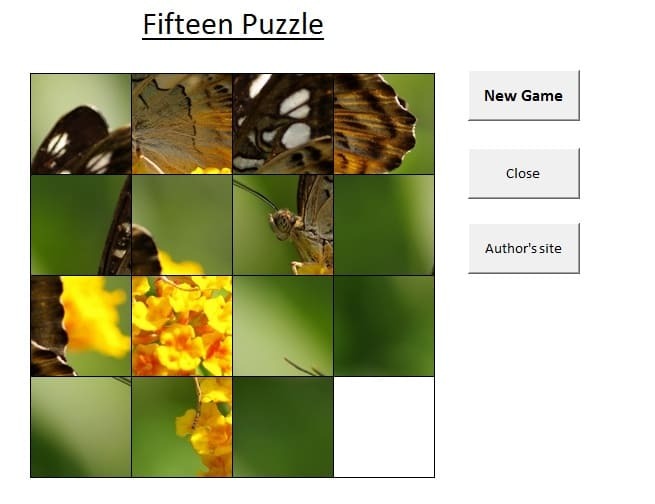 Play against AI in 1 player mode or challenge a mate in 2 players mode, let the best one win! 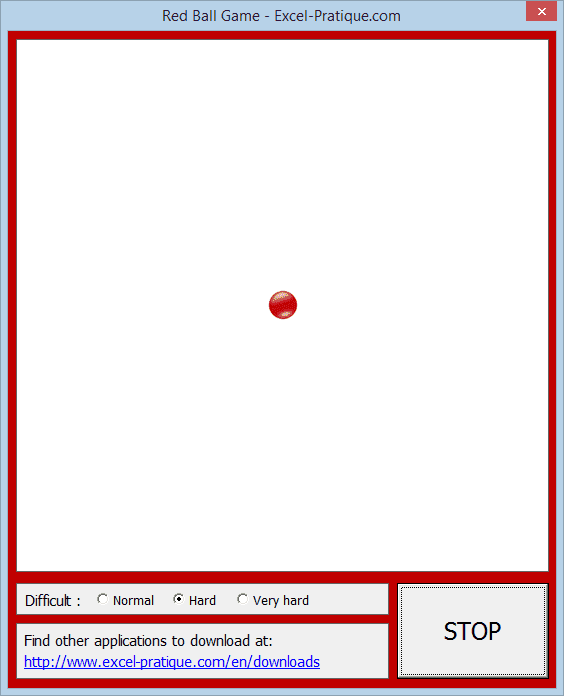 Game for Excel which aims to successfully click on the ball in motion (with 3 difficulty levels).